The Ritz-Carlton, Los Angeles is a five-star hotel located in the heart of Los Angeles just steps from attractions, enjoy a privileged location in Los Angeles, a few steps from the Grammy Museum and L.A. Live. 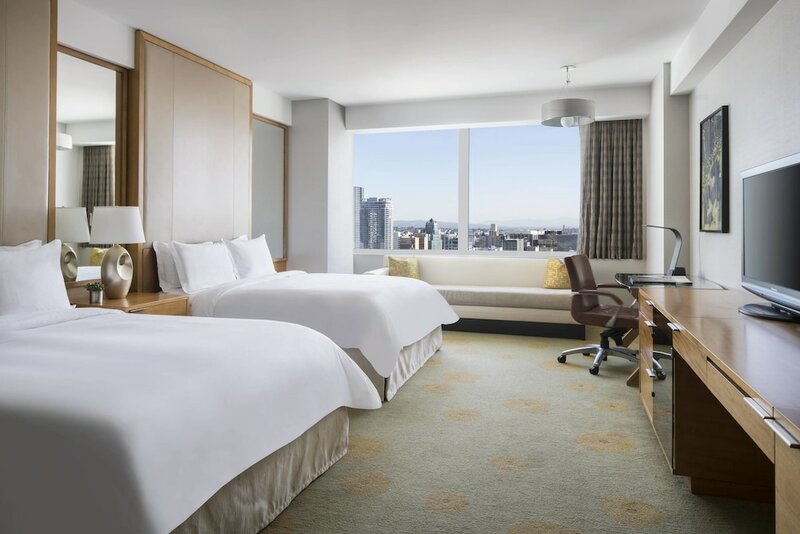 This 5-star hotel is located very close to stadium Staples Centre and Nokia Theatre Amphitheatre. All rooms at the hotel offer ample space and are equipped with all comforts. In addition most of the rooms have panoramic views of the city and comforts such as a double bed, air conditioning, soundproof windows, box for security, alarm clock, desk and private bathroom with hairdryer. All rooms are non-smoking, with room service available 24 hours. The hotel boasts modern facilities among which we can highlight the gym with its various equipment for cardiovascular training, Turkish bath and an outdoor swimming pool. If you want to try the best of international cuisine you can do so in one of the hotel's three restaurants. The front desk opens 24 hours; you can request transportation to various points of interest in Los Angeles. Also we offer tourist assistance and booking of tickets to the most popular places of entertainment in the city.